HR Management Diploma Level 4 Endorsed Certificate from Ofqual's regulated Awarding Body. Our most advanced Level 4 HR - Diploma has been designed for the successful HR leaders of the future. 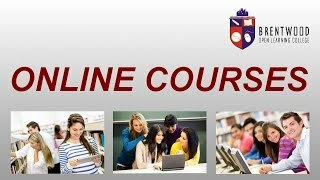 In this HR Management, Study in your own time and at your own pace, exploring key concepts such as employee recruitment and initial training, ongoing development and performance optimisation, workplace health and safety, equal opportunities, workplace diversity, grievance handling, dealing with challenging situations/employees and many more besides. If HR - Diploma was to be taken out of the equation, it would be impossible for any business to function. Build the confidence and key competencies to thrive in an HR Management setting, anywhere in the world. Across both public and private sectors alike, demand for advanced and quantifiable HR skills and talents has never been greater. Organizations on a global basis and at every level rely on elite HR for the establishment and management of the strongest possible workforces. By providing candidates with a comprehensive overview of the HR diploma profession, this advanced HR diploma primes learners for a rewarding life-long career. High-level HR education and training can open up an astounding array of potential career opportunities, spanning every contemporary industry and sector. From the basics of recruitment to the provision of training to performance management to equal opportunities and diversity, this dynamic course will help set you on the path to the career of your dreams. HR Management. The human workforce represents the single most valuable asset the contemporary organisation has access to. Providing the very lifeblood that keeps the business operational and viable, public and private sector organisations alike are reliant on strong and efficient workforces. Overseeing the recruitment, development and continuous optimisation of every member of the workforce, the HR manager plays a critically-important role at the heart of the respective organisation. If you have the acumen and ambition to succeed in HRmanagement, you stand to enjoy an exceptionally secure and rewarding career for life. A uniquely flexible and dynamic distance learning opportunity – study in your own time with no time restrictions or deadlines to worry about. Provision of all essential materials and supporting documentation required to complete the course, included as standard in the initial fee. The ongoing support of professional tutors with extensive industry experience, along with the wider Brentwood Open Learning College student support team. The opportunity to enhance and improve your CV and career prospects with an internationally-recognized qualification from an accredited awarding organization. Round-the-clock access to our exclusive online learning platform, allowing you to study from any location and any device with an Internet connection. Our advanced HR diplomahas been designed to provide both newcomers to HR - Diploma and existing members of the workforce with a deep and detailed introduction to the profession. Recruitment and training, deployment and supervision, performance management and disciplinary issues, employee health and safety, rewards and incentives – just a few of the key concepts our exclusive course introduces. In order to climb the career ladder in an HR context, it is first necessary to master a wide variety of interconnected disciplines and specialist areas. Whether looking to improve your capabilities, work on your confidence or simply stand out as a superior candidate in the eyes of employers, a recognised qualification could make all the difference. Every tutor within the Brentwood Open Learning College team has been hand-selected in accordance with relevant industry experience, proven capabilities and commitment to success. We work hard to ensure that every candidate is provided with the unique opportunity to enhance and enrich their career prospects by successfully completing our courses. Our courses are continually evaluated and audited – internally and externally – in order to guarantee unbeatable quality and value for money. Study at home, in your own time and at a pace that suits you for a potentially life-changing qualification. This intensive yet digestible HR Diploma course is delivered across 08 modules – each concluding with an online assessment to verify your acquired knowledge and competencies. Your assigned tutor will provide you with comprehensive support at all times, in order to assist with your successful completion of each unit. We designed our advanced HR diploma for anyone looking to climb the ladder to the highest possible position in any HR setting. From team leaders to supervisors to department managers to senior executives, a strong grasp of the most important HR Course fundamentals can serve as a real catalyst for almost any career. Particularly those looking to transition from team member to a position of leadership could benefit from targeted HR training. What’s more, small business owners and entrepreneurs are guaranteed to find the teachings of this high-quality HR diplomainvaluable. Our flexible courses are open to learners on a global basis and are free of both time-restrictions and deadlines. Study in your own time at a pace that suits you from any location with an Internet connection. All course materials are provided as standard and can be accessed 24/7 via our exclusive digital learning platform. With the help of Brentwood Open Learning College, the career in HR leadership you know you’re capable of could be just around the corner! Is it equivalent to NVQ level 3 ? Dear Ulfat, This is a level 4 course endorsed by ABC Awards. There course is equivalent to NVQ level 4.